Located adjacent to the lobby of the hotel, The Garden Terrace features indoor as well as al-fresco dining and offers an unforgettable experience amidst lush gardens. 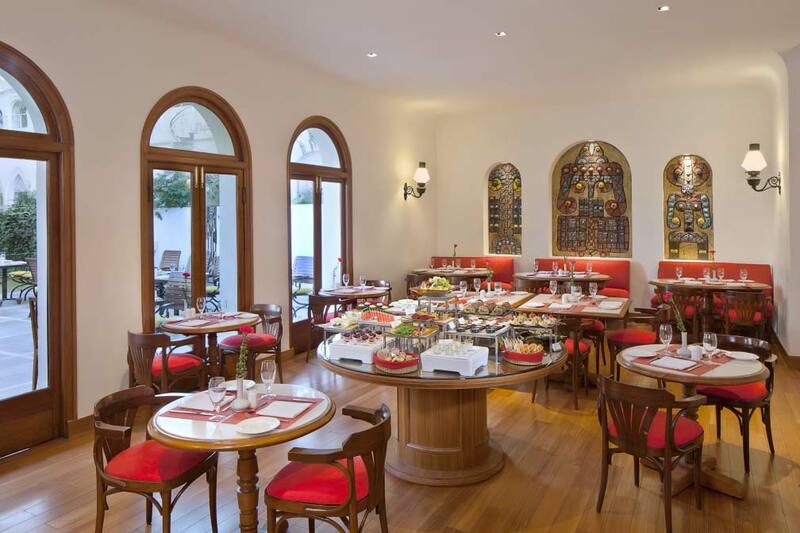 The main restaurant serves International breakfast buffet and an exciting selection of Indian and International cuisines for lunch and dinner. 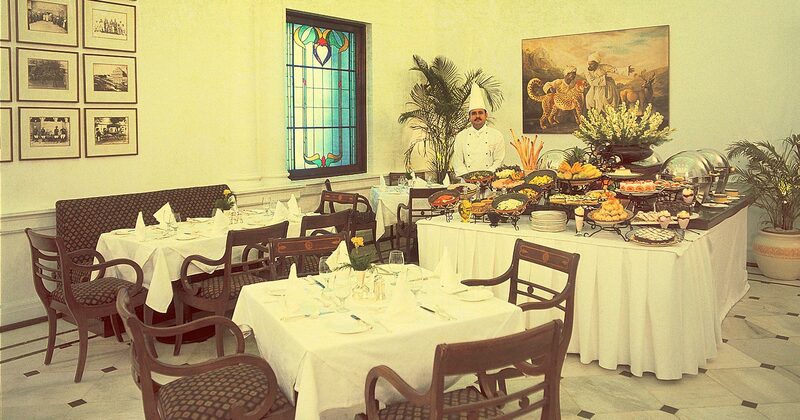 Named after the British Viceroy Lord Curzon, the restaurant showcases over 70 photographs from the archives that adorn the walls and take you on a nostalgic trip of the Raj in India, in the early 1900s. 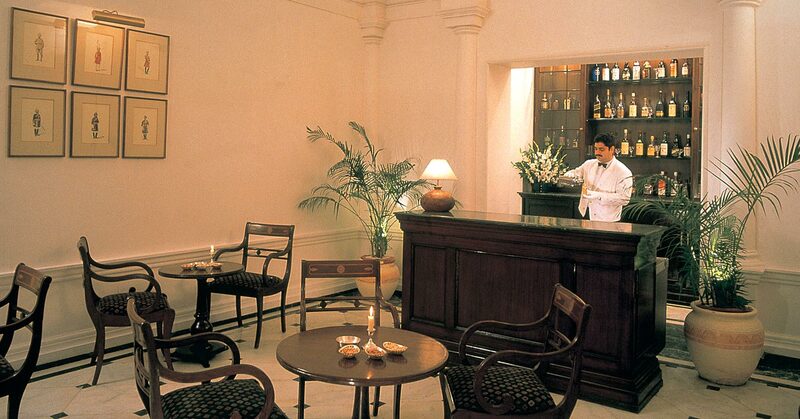 Dining at The Curzon Room in an aura of timeless elegance is an experience of a lifetime. An ala carte selection featuring the finest of Indian Cuisine as well as Indian delicacies made popular during the British Raj in India. The Cavalry Bar serves cocktails, beverages and a variety of snacks in an intimate setting and lounge music. Enjoy Happy Hours from 4pm – 8pm.